Twelve of the Air Force's newest and most lethal jet fighters, the F-22A Raptor, flew into Hickam Air Force Base yesterday on the way to their first overseas deployment. The jet fighters stopped in the islands for a crew change and to refuel before flying to Kadena Air Base on Okinawa. » Current bases: Edwards Air Force Base, Calif.; Nellis Air Force Base, Nev.; Tyndall Air Force Base, Fla.; and Langley Air Force Base, Va.
Maj. Gen. Jeffrey Remington, Pacific Air Forces director of airspace, told reporters the Raptors will replace F-15 jet fighters now stationed in southern Japan. The squadron's duties are expected to include drills with U.S. Air Force units in Misawa Air Base in Aomori prefecture in northeastern Japan and in South Korea. The 12 Raptors and the more than 250 personnel were from the 27th Fighter Squadron at Langley Air Force Base in Virginia. Eventually, 20 of these fifth-generation fighters will be stationed at Hickam Air Force Base and owned by the Hawaii Air National Guard's 199th Fighter Squadron. They also will be crewed by pilots from the active Air Force's 531st Fighter Squadron. They will replace the aging F-15 Eagles that the 199th Squadron has flown since 1987. Maj. Gen. Pete Pawling, commander of the Hawaii Air Guard's 154th Wing, said the partnership will mirror a current arrangement involving the C-17 Globemaster cargo jets. Under that arrangement, the Air Force owns the C-17, but pilots and flight crews from the Hawaii Air Guard work out of the same shop and fly the massive jets. Lt. Col. Chris Faurot, who is managing the Air Guard's F-22 transition program, said the Hickam F-22 squadron should be operational by 2011 and will be operated by 600 Air Guard and Air Force personnel. Faurot said the jets will be flown by 27 Air Guard pilots and nine from the Air Force. "Lots of my friends who have done the transition say it's easy to fly but difficult to employ. It's going to be a challenge," said Faurot, a 1984 Damien High School graduate. 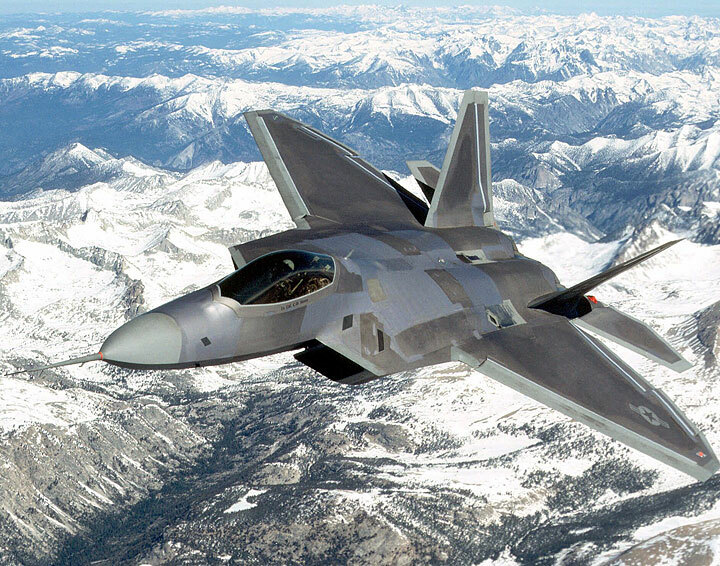 Lockheed Martin, the plane's manufacturer, has said a pilot in an F-22A Raptor traveling at 1.5 times the speed of sound can lock onto an enemy fighter 40 miles away and take it out with a missile before the other aircraft realizes it has been targeted. The Raptors, at $136 million each, are the most expensive jets built in the history of the Air Force. The design of the single-seat Raptor is effectively undetectable by enemy radar. The stealth fighter also has supercruise, which allows the jet to fly at supersonic speed without afterburners, conserving fuel.